Dr Michael Riskevich Bkpain represents the essence of the work of Dr. Michael Riskevich and covers causes, treatment and relief for different disabling conditions, integrating different non-surgical treatments such as physical therapy, Prolotherapy, vestibular treatment and pain management. Bkpain represents the essence of the work of Dr. Michael Riskevich and covers causes, treatment and relief for different disabling conditions, integrating different non-surgical treatments such as physical therapy, Prolotherapy, vestibular treatment and pain management. This is a good Dr for pain management. We went here a few week ago. Dr Riskevitch was patient and worth seeing. Kudos to the staff as well. How can i say thank you to this practice for help me in the most difficult of time. The care and attention is genuine and i am healing property. After my accident it was a mess. Thanks to the care of the dr and staff, life is getting better. The Dr and Staff was proactive. This i appreciated. A few months later and i am feeling alot better. Thank you Dr Riskevitch. I came here with my wife for treatment. We were both in a car accident. The quality of care is A plus. The Dr is very kind and patient so if the staff. For pain management, i recommend dr Riskevitch. Love love love him and his staff he's awesome he's been treating me for different issues for over 20 yesrs This practice helped me so much. Was in so much pain after i fell in 2016. Dr Riskevitch and staff got me on my feet again. Excellent Doctor I got referred to Dr Riskevich by my family doctor. He was complete with me and gave me Allthrin. I am taking it now and hope it will help with my pain How can i say thank you to this practice for help me in the most difficult of time. The care and attention is genuine and i am healing property. After my accident it was a mess. Thanks to the care of the dr and staff, life is getting better. The Dr and Staff was proactive. This i appreciated. A few months later and i am feeling alot better. Thank you Dr Riskevitch. How can i say thank you to this practice for help me in the most difficult of time. The care and attention is genuine and i am healing property. After my accident it was a mess. Thanks to the care of the dr and staff, life is getting better. The Dr and Staff was proactive. This i appreciated. A few months later and i am feeling alot better. Thank you Dr Riskevitch. How can i say thank you to this practice for help me in the most difficult of time. The care and attention is genuine and i am healing property. After my accident it was a mess. Thanks to the care of the dr and staff, life is getting better. The Dr and Staff was proactive. This i appreciated. A few months later and i am feeling alot better. Thank you Dr Riskevitch. Dr. Michael Riskevich is a Diplomate of The American Osteopathic Board of Family Physicians and Osteopathic Manipulative Treatment. By integrating our philosophy of comprehensive, compassionate care with the most advanced state-of-the art treatments, my practice has achieved great success in providing patients with the pain relief they deserve. Our special procedures are founded in advanced training that incorporates the highest standard of care. Joint pain is by far the most common form of chronic pain for Americans today. Joint pain is an often-debilitating issue, and can result from a number of different causes, most commonly through trauma or as a result of aging. Common joint Pain causes are, trauma to the ligaments, bursae, and tendons which surround the joint. And trauma to the ligaments, cartilage, and bones, within the joint. Another major cause of joint pain is joint inflammation, better known as arthritis. Arthritis can develop due to a number of factors, such as age, stress on the joints, and even your diet. Arthritis and joint pain commonly affect areas such as: knees, elbows, ankles, hips, back, neck and shoulders. Dr. Riskevich and his staff will identify the root issue causing your joint pain and provide you with a number of treatment options best suited to your specific needs. Contact us today! Dr. Michael Riskevich has become one of the foremost minds in the field of pain management. He and his staff approach the treatment of pain from a unique perspective, providing patients with maximum relief, while being able to limit side effects and ease discomfort. 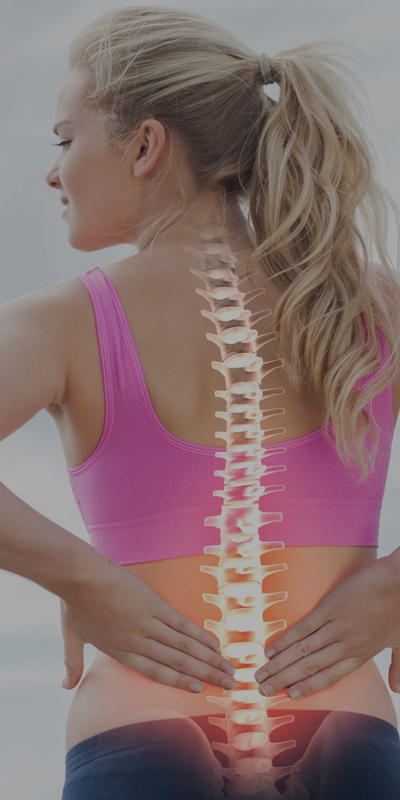 From muscle and joint pain, to pain resulting from nerve and neurological trauma, Dr. Riskevich will provide you with the perfect pain management and treatment protocols, 100% tailored to your specific needs as a patient! Age affects us all, and no matter how hard we fight it, signs of aging will always catch up to us. Some of the most common signs of aging are wrinkles, fine lines, sun spots, loose skin, and even weight gain. In his many years providing aesthetic medicine, Dr. Riskevich has perfected a number of procedures to help fight these symptoms of aging, and provide patients with smooth, supple, skin and aesthetically pleasing, youthful contours. 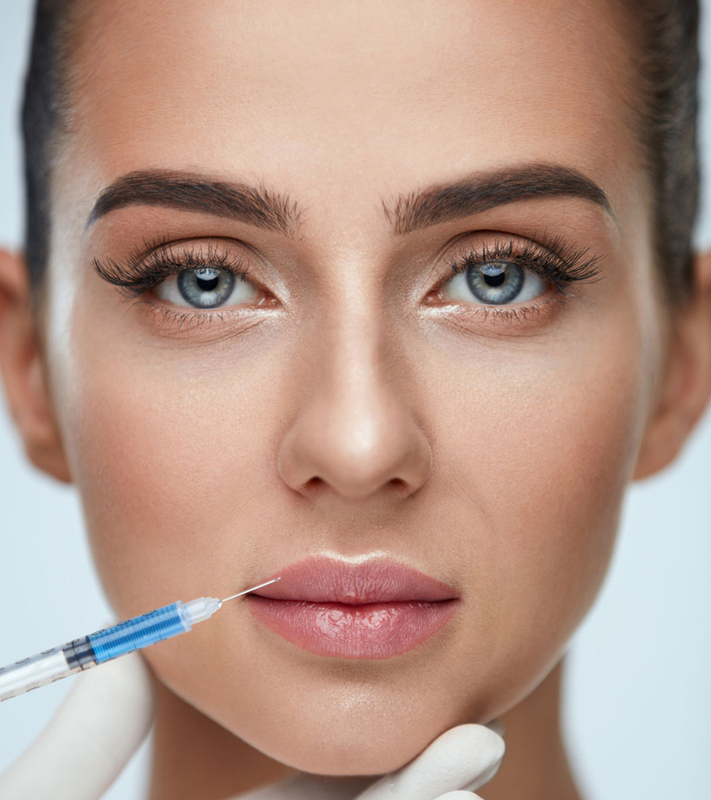 Dr. Riskevich offers Botox and Dermal Fillers like Juvederm, Voluma, Volbella, Belotero Balance, Radiesse and Restylane to plump thin lips, enhance shallow contours, soften facial creases, remove wrinkles and improve the appearance of acne scars. Be sure to ask about some of our other age-defying procedures like Viora for tighter, more firm skin and HCG weight loss, a revolutionary new, hormone-based weight loss therapy, that has changed the lives of thousands around the world! Dr. Michael is fantastic. He is skilled and professional. His goal was to assess my injury and get me on a program to feel better in the short term and in the long term increase strength in order to prevent relapses. I feel so lucky to have found him and highly recommend him. My treatment was provided same day and treatment plan was discussed. 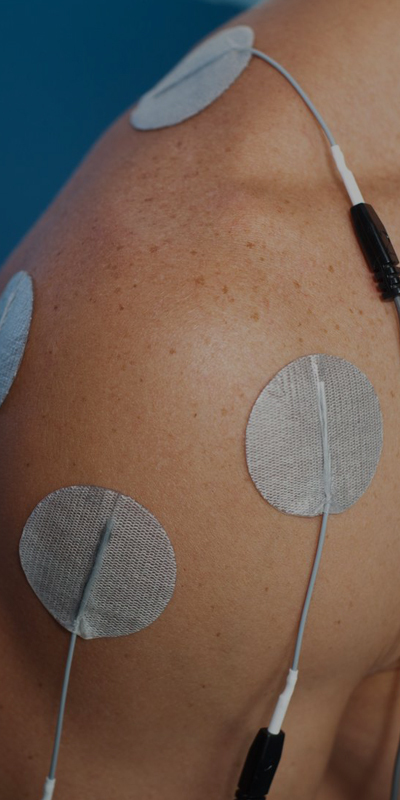 Has various modalities to address pain relief. Excellent Practice! Great bedside manner and knew exactly what the issue was right away. Really put me at ease and was optimistic of my healing by taking the right, guided steps. Dr. Riskevich is an amazing doctor. I have been dealing with arthritis pain for the better part of the last decade and have yet to find a non-narcotic solution. After being under his care for the last few weeks, and taking part in some Osteopathic Manipulative Therapy sessions, my pain has been cut in half! I can’t wait for my continued progress; I owe it all to Dr. Riskevich. I have been coming here for the last few years to get some cosmetic things done, like botox and certain lip fillers. They do such great work, and with my sensitive skin, I won’t trust anybody else with my cosmetic care but Dr. Riskevich! Highly Recommended! I was referred to Dr. Riskevich by a family friend who has known about my back-pain symptoms for the last few years. It has only been a week since our first visit, but I am really pleased with the level of care and the service of the staff. Everyone is so polite, and very attentive. The staff (as well as the doctor!) really seem to care for their patients and want their conditions to improve. As a former bodybuilder (not since the 70s!!) I have got a lot of pains and strains, especially in my knees and hips. After my hip replacement, Dr. Riskevich and his staff helped me work through the pain and provided me valuable treatment when I was at my worst. I am extremely thankful to Dr. Rskeveich and his staff. If you’re in need of the best pain management Brooklyn has to offer, look no further than Dr. Riskevich. There website was super helpful and informative. The staff was a pleasure to deal with and were nothing but helpful. 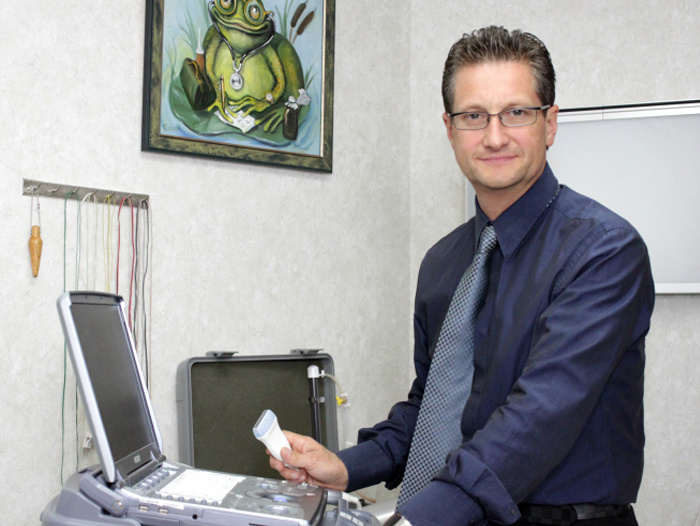 Dr. Riskevich himself is also a very intelligent doctor, who truly works with his patients to improve their pain. He doesn’t overprescribe like some and isn’t afraid to get his hands dirty! My wife suffers from chronic pain from fibromyalgia, and after going through a number of doctors who had her on all types of pain medication (with terrible side effects), we got in touch with Dr. Riskevich. He really is a good, caring doctor. He worked with my wife, got her physical therapy, and certain osteopathic therapies, that really have made a huge difference. He also gave us a number of recommendations to help her lower her pain medication dosage, since the side effects were just getting to be too much. Thanks Dr. Riskevich! Copyright © Pain Management Brooklyn - Dr Michael Riskevich. All Rights Reserved.